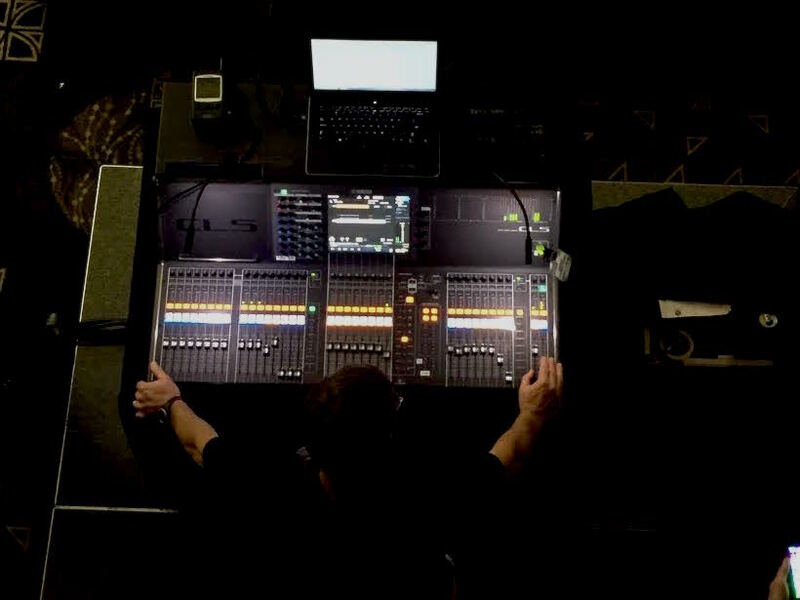 CSS Audio, Inc. maintains a large inventory of audio equipment ranging from simple powered mixers and stand mounted speakers to world class digital consoles, high output trapezoidal and line array speaker systems. From Small gatherings, to theaters, to 10,000 seat arenas, we have the equipment necessary to provide an exceptional production. We maintain a healthy inventory of conventional and high intensity led lighting for everything from small events to large concerts. Whether your need is for simple lighting trees or large lighting trusses, we can fill your need. We also have an inventory of intelligent (moving) light fixtures for more sophisticated events. If your needs include staging, we can provide custom sizes (in 1’ increments) up to a maximum of 64’x56’. The stage height can be as short as 16’’ or as tall as 7’. We provide cross bracing for stability, black skirting to complete the look, hand rail and toe boards for additional security, and sturdy stair units with handrails. 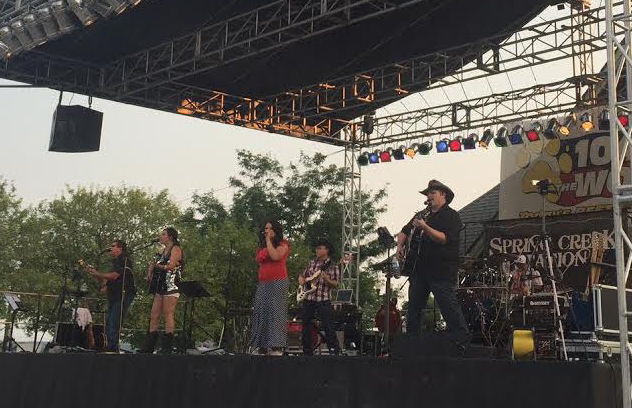 Runways, multiple small stages, one huge stage, or teared stages we can configure many options for you. Level ground is not required. 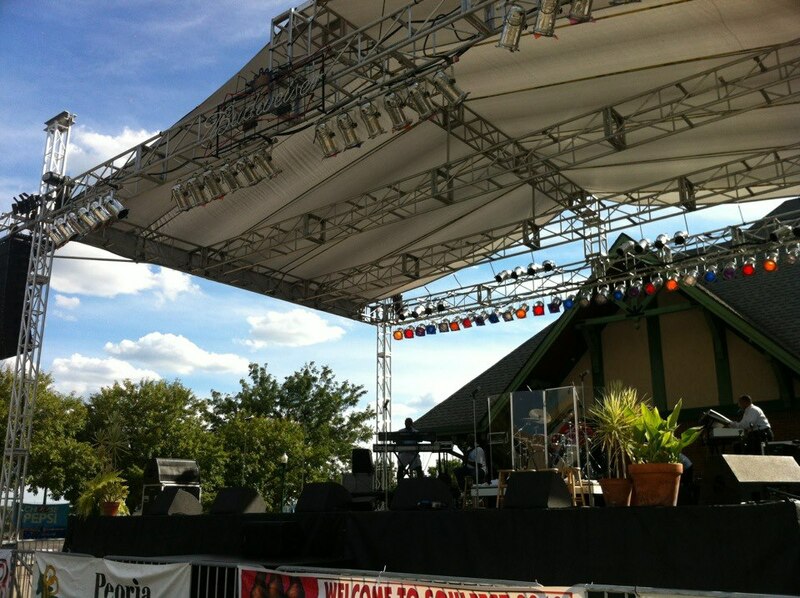 We can build a stage roof in increments up to 40’ square and more than 30’ tall. Included in the roof system are chain motors, corner towers with outriggers, a roof ‘skin’ and rear ‘blow-through’ scrim. This is a load-bearing roof system- NOT a portable or ‘quick set’ stage; but a large, professional concert setting for your event. Speakers and lighting are supported by the roof system. © 2016 CSS Audio, Inc.